Some of the world’s largest and most fascinating experiments—the kind that involve hundreds of scientists and tackle mysteries of the universe—are happening practically in Northern Illinois University’s own back yard, creating cutting-edge research opportunities for faculty and students alike. 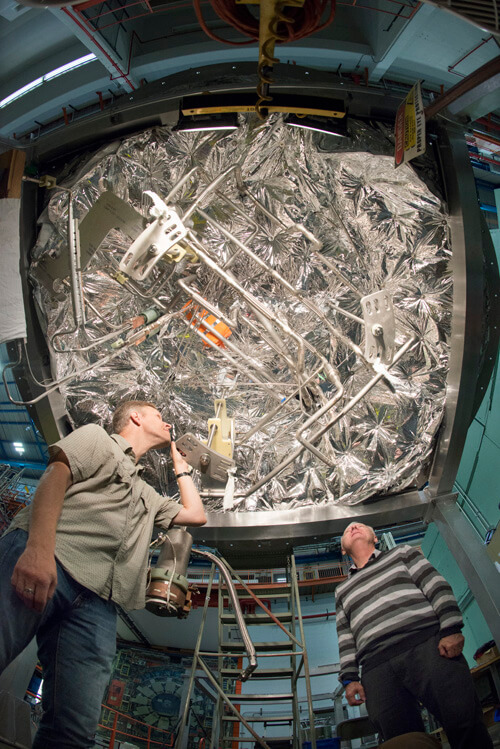 The U.S. Department of Energy’s (DOE) Fermi National Accelerator Laboratory, just a 35-minute drive from NIU’s DeKalb campus, is considered America’s premier national laboratory for particle physics research. 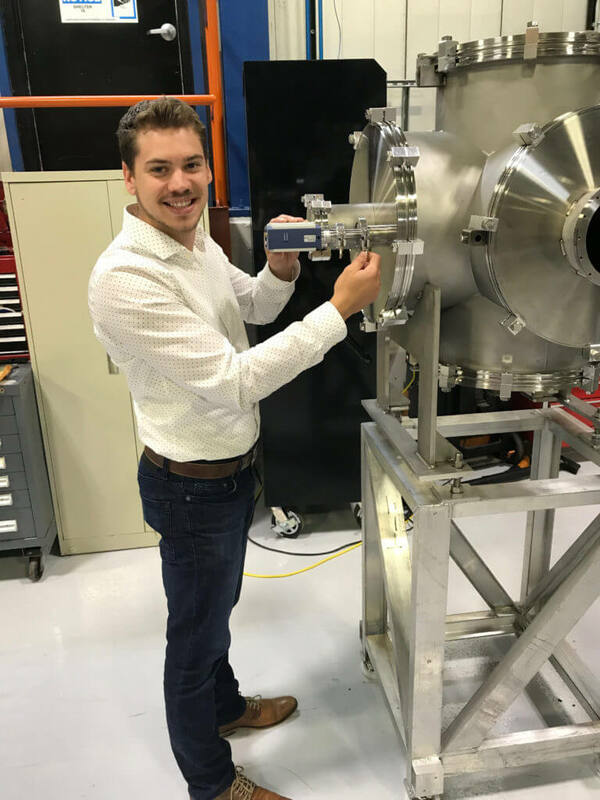 Luke Martin received his bachelor’s and master’s degrees in mechanical engineering at NIU, worked on Mu2e as a student and now is employed by the laboratory. This summer, the laboratory hit key milestones on two of its “big science” projects involving subatomic particles—the Muon g-2 Experiment and the Deep Underground Neutrino Experiment (DUNE). Faculty and students from physics and engineering, including many who are affiliated with the university’s own Northern Illinois Center for Accelerator and Detector Development (NICADD), are contributing to both projects, as well as a third major Fermilab endeavor, the Muon-to-electron-conversion experiment (Mu2e). 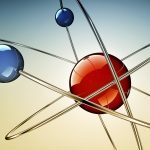 While the projects are complex and large in scope, they are focused on gaining a better understanding of mind-bogglingly small particles that, at the subatomic level, make up the very building blocks of nature. 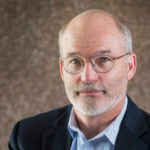 “These experiments put our faculty at the forefront of research and prepare our students to become the scientific pioneers of the future,” says physicist Jerry Blazey, NIU Vice President for Research and Innovation Partnerships. Before coming to NIU, Blazey worked as a scientist at Fermilab, and he continues to conduct research there. NIU’s involvement in experiments at Fermilab includes the following. What is it? On May 31, the 50-foot-wide superconducting electromagnet at the center of the Muon g-2 experiment saw its first beam of muon particles from Fermilab’s accelerators, kicking off an effort to measure just what happens to these short-lived particles when placed in a stunningly precise magnetic field. The answer could provide new insights into the elementary particles that make up everything and rewrite scientists’ picture of how the universe works. The collaboration includes more than 150 scientists representing nine countries. NIU faculty involved: Swapan Chattopadhyay, Mike Eads and Michael Syphers from the Department of Physics and Nicholas Pohlman from the Department of Mechanical Engineering. NIU students involved: Since NIU joined in 2012, about 25 students have conducted research related to the experiment. Current students on the project include undergraduate Gavin Dunn; and graduate students Michael Gattone, Daniel Boyden and Andrew Fiedler. What is it? Fermilab held a groundbreaking for DUNE in late July. The international project will consist of two neutrino detectors at either end of world’s most intense beam of neutrinos, the most abundant matter particles in the universe. One detector will record particle interactions near the source of the beam, at Fermilab. 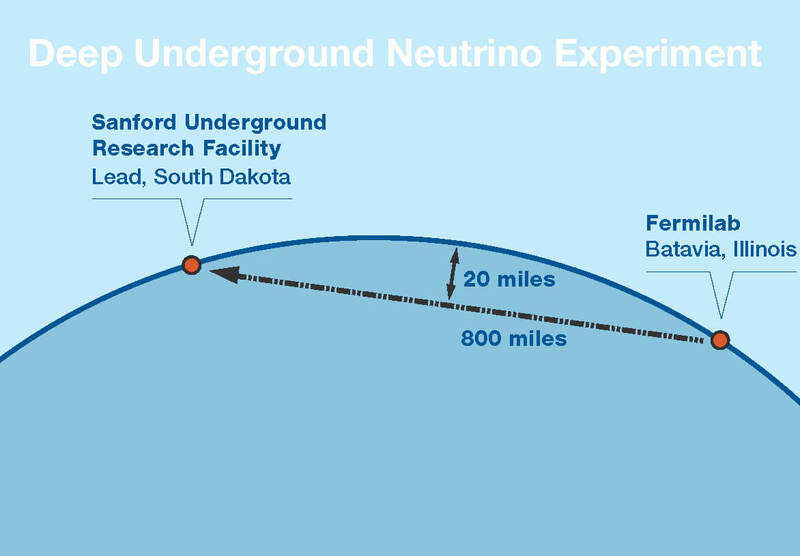 A much larger detector will be installed deep underground at the Sanford Underground Research Laboratory in Lead, South Dakota — 800 miles downstream of the source. The detectors will enable scientists to search for new subatomic phenomena and potentially transform understanding of neutrinos. The experiment involves more than 800 scientists. 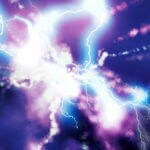 NIU faculty involved: Physicists Vishnu Zutshi, Jerry Blazey and Mike Eads. NIU students involved: Graduate students Dan Boyden and Logan Rice. Project involvement: Research and development activities related to the photon detector system for the DUNE detector. What is it? 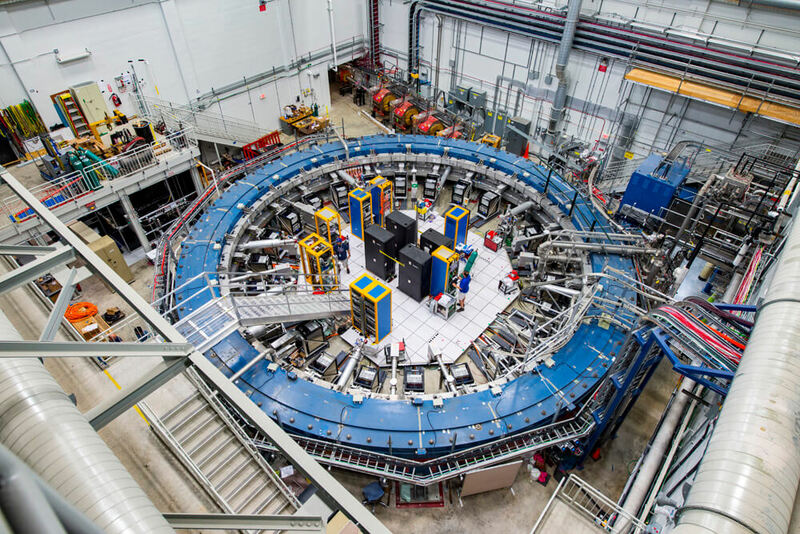 One of the flagship experiments of the U.S. High Energy Physics program, the $250 million Mu2e experiment seeks to find a rare type of conversion of muons to electrons. The project is now in its construction phase, with design work continuing. NIU faculty involved: Physics professors David Hedin, Jerry Blazey, Vishnu Zutshi and Nicholas Pohlman. NIU students involved: Undergraduates Dayne Coveyou and Chad Strain; and graduate students Jacob Kalnins, Daniel Faia and Colin Narug. Project involvement: Since 2011, more than 30 NIU physics and engineering students have contributed to critical aspects of the experiment design, including design and simulation of the radiation shielding, testing of the radiation hardness of the silicon photodetectors, mechanical engineering design of components of the muon beamline and testing of prototype detectors at Fermilab’s test beam. Eight of those Mu2e students earned their master’s degrees.